After 25yrs in the fire service you get to know alot of people. Having spent most of those years training firefigthers, it is not uncommon for my friends to invite me to stop by and watch one of their training nights – usually in hopes that I will have some great insight as to how to make it better. Little do they know I usually learn more from them than they do from me. 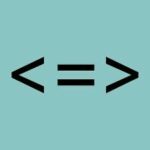 Nonetheless, one of the most common mistakes I see is related to design rather than technique. Training officers are notorious for trying to get too much done in the 2hrs they have. Some of this is by nature – training officers love to train, and some of it is because of the pressure to cover so many topics in so little time over the course of a year. A common drill that I see is the PPE drill. During this drill the firefighters are challenged to don their PPE in a pre-determined amount of time, often 1 minute or less. They do this once, maybe twice and then they move on to donning their SCBA, again in a pre-determined amount of time, often 1 minute. After successfully passing this drill they often move on to another drill or common task. Is once or twice really enough? Maybe, maybe not. It is proven that under stress we will act in a way that is most natural to us, often referred to as muscle memory. Muscle memory is achieved through repetition. So why not do the don/doff drill five, six, or seven times? Want to increase the challenge? Put them in a dark room and don’t let them set the bottle and straps out all nice and neat. Have them practice donning and doffing their SCBA – including their mask, while in a dark room and with their firefighting gloves on. Now before all of you naysayers go and start hammering me because donning your PPE or SCBA in a dark room is not likely to happen and therefore isn’t real. You are missing the point of the drill. The point is to make you so familiar with your PPE and SCBA that you can don it without thinking about it – kinda of like tying your shoes. Should you ever have to doff your SCBA to navigate through a reduced profile you will be glad you did the drill. So instead of just checking boxes on the topics you need to cover, choose quality over quantity, and remember, sometimes less is more. 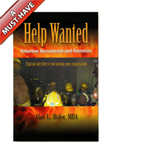 Related Posts:Is technology killing he volunteer fire service? Why it’s okay, even encouraged, that you walk, don’t run! Do you talk to your neighbors?